January 19th 1-3 PM, Sunday! Click here to get News of Current Projects, Monthly Specials, and Yearly Open House Dates! CLICK HERE to get our coffee table book for $29.95! 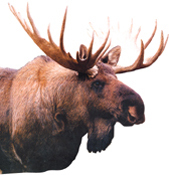 Click here to view Moosehead Log Furniture Co information. 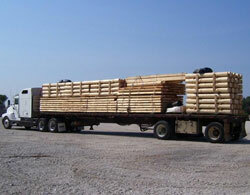 Welcome - Project planning for your new Expedition Log Home - Midwest project begins here! For most people starting a building project can seem overwhelming and complicated. But with the help of your team at Expedition Log Homes - Midwest we can guide you in making your project a pleasant, cost-effective, and rewarding experience. Our goal at Expedition Log Homes - Midwest is to do everything we can to assure that your Log Dreams do become a reality by making sure you understand completely how the process of building your dream home works. We will take you from the start of the process, which is now- as you visit the Expedition Log Homes web site, to the day that you move into your beautiful Expedition Log Home - Midwest. Below you will find a list of project planning ideas that will explain how the Expedition Log Homes Project Planning Program works and you will have the opportunity to "click" to your own"Project Planning Worksheet" that will allow you keep a record of your progress as we guide you through one of the most rewarding experiences of your life. Our goal at Expedition Log Homes - Midwest is to keep you informed and organized with detailed information from model visits, plan ideas, Expedition package cost proposals, cost efficiency analysis, order placement, design team & engineering consultations, blueprint completion, and delivery of your Expedition Log Home - Midwest package. This is what we call the Expedition Log Homes Project Planning Program-PPP. Upon completion of the entire Project Planning Program above, you will turn over the project to a qualified and skilled contractor of your choosing. At which time we will work "hand in hand" with you and your contractor to assure that your project is completed in a timely cost effective manner and to the high standards we set at Expedition Log Homes! Your goal is to learn as much as possible about the Expedition Log Home - Midwest Project Planning Program early-on, which is now. Being informed as to how this program/process works will allow you to remain informed, organized, cost effective, and efficient. 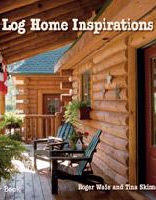 All of the things that Expedition Log Homes feels are important to make your log home dream a reality. Below you will find the Expedition Log Homes Project Planning Program schedule- You will then be able to "click" the Expedition PPP and get your own PPP work sheet, that will allow you to track your own progress from now to the day when your Expedition Log Home - Midwest package arrives at your chosen lot. Project Planning Schedule- this will help you understand "what you do next"
3a-Floor plan design and consultation: Sets a floor plan and makes it your's, you will work closely with your representative and Expedition staff to get it right! 4- Receive Expedition Log Homes package proposal: complete list of Expedition materials, quality selections, detailed pricing, contract expectations, signature page. 4a-Package Cost Consultation: Review package details, receive "ballpark" project details-if needed, modify any package details. 5- Place your Expedition Log Homes - Midwest Package Order: Initiates the engineering and blueprint process for builder selection and bid work, locks-in today's pricing. PAYMENT STEP-To initiate this process requires a signed Expedition Log Homes proposal/order and a specified down payment. 6- Design Consultation: 60-90 minutes to meet your log home designer from our award winning design team and consult with our engineering department. 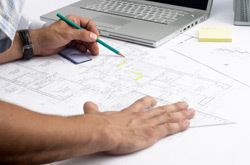 7- Blueprints: Complete the necessary stages of design and engineering to include- preliminary plans, revised preliminary plans and final engineered construction plans. 8- Sign off on Final plans and complete material lists for your home: Includes making final contract payments and getting materials ordered for your Expedition Log Home. PAYMENT STEP-Requires bringing your down payment amount to 50% of your Expedition package cost. 9- Setting Delivery Date(s): Setting final material delivery dates for your home- based on builders schedule and project dates. 10- Taking Expedition Package Delivery (click here for more delivery information): The exciting day that you have been anticipating- the delivery of your Expedition Log Home - Midwest materials to your job site and watching your log dreams become reality! Includes off-loading materials, project review with contractor, and final payments(if any) are made. PAYMENT STEP- Requires final payments to be made on or before day of material delivery - final payment amounts based actual materials delivered to client location. 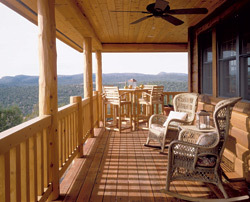 Once you have completed the 10 easy steps of the Expedition Project Planning Program you are on your way to fulfilling your "log home dreams". Please call us at 1-800-426-5647 with any questions regarding this 10 step program. Please click the Project Planning Worksheet tab below to receive your custom planning worksheet. Please "click" the "Project Planning Worksheet" tab below to get your Project Planning Worksheet.